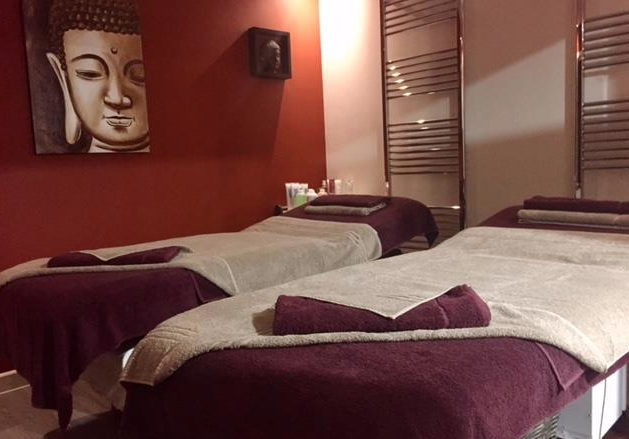 Located in the lovely market town of ringwood, We offer a wide range of expert treatments from hair to beauty all under one roof. With being brand new in September 2016 The Salon is stylish and modern with a welcoming atmosphere. We have a wonderful team of girls who are always up to date with the latest of training to give our clients the best experience they can :). Having Comfort Zone and Davines as our main products we are sure you will love them just as much as we do. Lovely salon and Bella is simply wonderful. Great at all she does and really good company too. Thanks for relaxing me! I'm a new woman again!! Thanks to a wonder Indian head massage and facial from Katie...love this place!! Amazing service, they bent over backwards to accommodate me and didn't even have an appointment. Stayed after they closed to make sure my wedding nails were perfect. So kind and friendly plus lovely coffee with a biscuit. Awesome!! I had a lovely manicure today with Annabelle. She was very professional and friendly and did a beautiful job of my nails. Always a pleasure to come for treatments.... super friendly... super professional..... thanks again! ? Lucy gave me a great haircut under the watchful eye of the wounded Abby. Abi and Lucy have worked miracles! My hair was in dire need of help and over three treatments Abi has managed to help it recover and get it back to the colour I was initially going for. All the staff there are lovely and willing to help and I'd highly recommend going there for hair or beauty! Very professional and friendly salon. A lovely salon with friendly staff who give a fantastic professional service. A great place to go for all your hair and beauty needs ? Had my Acrylics done by Katie which are great, Melissa finished them off with a lovely subtle natural pink glitter Shellac. Love coming here all the girls are so lovely and friendly. Thank you Annabel for another super nail do.